I've used half a dozen eCommerce websites in the past and all of the account for abandoned cart/incomplete orders the same way, abandoned or incomplete. What they don't do is add them to the "Orders" tab with an "awaiting payment" indication. To me that process seems confusing and creates a bunch of extra clutter when trying to look at orders that ned to be shipped. Has anyone found a workaround that would prevent these non-orders from propagating info into the orders tab? To me it seems intuitive that as the order commands are going though their loop, instead of an "invoice" being sent to the customer if they don't create and finish an order that order is just considered abandoned or dead. This seems to create a lot of confusion on the customer and the merchants end. For example - customer goes on, adds items to cart, goes to checkout, doesn't move all they way through the payment system, no order is created and no order is sent to back office order tab in the dash board. Instead - same example as above but the "order complete" indication triggers the email appropriate for the action and is done so internally because of the trigger "order complete"
Would love to see a fix or modification / resolution for this. the worst part of this is if someone goes to pay with PayPal but backs out of the sale and does not complete the payment portion of the action, the order confirmation still gets sent out to customer, merchant and order goes into the order tab in dash board. From there the merchant/shop owner now needs to determine if there is an issue on the payment end and that is why the customer was unable t complete the order, or if the customer is no longer interested in the order and has abandoned cart and or how does the merchant/store owner get paid for an incomplete order that was meant to be completed but for some reason was not. First of all, sorry for this very late response. Orders are created when a customer clicks the "Buy" button and agrees to the sale. It then depends on your payment integration if the customer leaves the page to pay (eg PayPal) or stays on the page. This is not something we can change. The order confirmation is send to the customer thanking them for the order. This email is not a payment confirmation which is send later when the order changes to "Paid". 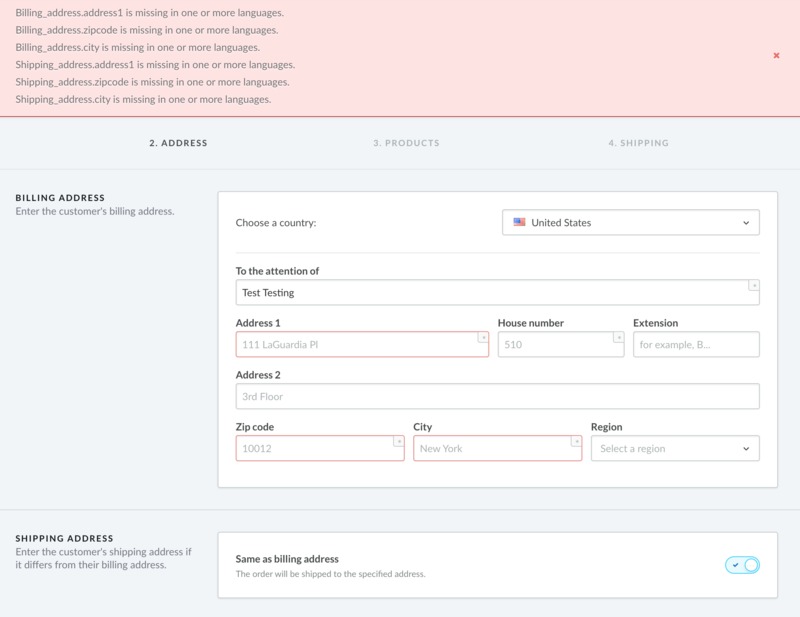 We have added easy filtering to the orders page to show only orders that need to be shipped, paid, picked up or completed. A great way of recovering the abandoned order is to setup payment reminders which automatically sends out emails to the customer reminding them of the awaiting payment. I feel like there should be an option available to only create the order when the payment is complete. This should be made as a feature request. this is a big problem for us as well. When people want to buy via PayPal or SOFORT but cancel their payment, we recieve the order in our backend. Another problem that occurs for the same reason, that Analytics won't show any conversions, if the customer simply closes PayPal without being redirected to the thank-you page. Can't you just switch positions, that you get redirected before the order is counted as finished? Systems like Steam or other Online-Shop systems can do that as well, so it should be technically possible. If the customer would be redirected to PayPal to authorize the payment and THEN gets to the page to finally confirm his order, both problems would be solved. For small shops it might work the way it currently is and is just "a bit annoying", but if your shop grows, it will be a hindrance that impacts your workflow in a very negative way. So it should be changed, the sooner the better. Following. I'm trying to manage this through which automated emails go out and what they say. I would much prefer to not have an order confirmation sent until the payment is confirmed received, but the Order confirmation is the only one that we can receive a cc on in order to fulfill. So disabling that notification does not work for our workflow. This scenario is handled out of the box through proper configuration by most e-com providers. When a PayPal payment is processed successfully then PayPal passes back that event to the calling party (i.e. - in this case the e-com framework provider). Then the calling party in turn can conditionally consider that order as being successfully completed. Here's just one example --> https://docs.woocommerce.com/document/paypal-standard/. Pretty sure they want to pass this as a "Design choice"
I agree that the entire process needs designing with both shoppers and retailers guiding the process and informing the workflows / steps with a practical and real approach. If a cart is abandoned and the customer checked out as a guest then they have no account to log back into creating a poorly thought out dead end! The message you get from clicking the link in the payment reminder states the session has expired or the browser does not accept cookies? does this mean the link that lightspeed provides for MY Account does contain the abandoned order. I have been using the Abandoned Cart app by combidesk for 3 weeks now and although like LS entire money making model it is expensive but it does work well. 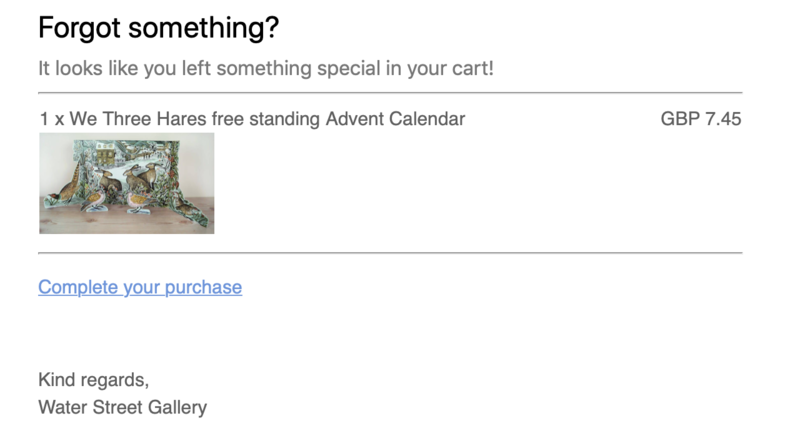 Theres an HTML link in the email that it pings at a pre defined period after the checkout process and this takes you to the cart with the items in. Click link above and you will see. This feature as well as being able to generate cart links should be part of all of the various ecommerce plans base features. Producing quotes should be streamlined and enable easy shopping experiences so you can email a customer cart contents they wish to purchase. Instead you need entire address info, something that customers are often unwilling to pass over via email or a chat widget. Our records show that we not yet received payment for your order. As soon as we process your payment, we can ship your order to you. To make a payment, or if you wish to update or modify your payment method, simply log in to your account by clicking the My Account link on Water Street Gallery. Then, make your way to your order, using your invoice number as reference, and click Pay Now. If you have a question about your order, feel free to leave a message for us through the My Account link. This is the most efficient way to communicate with us, as any queries you submit through My Account are automatically linked to your account’s order and billing information. However, if you prefer to talk over the phone, you’re more than welcome to give us a call! There are many different questions in this thread not related to the original question, making it hard to answer all of them. I recommend creating a new post if you have a specific question, not related to orders showing "Awaiting Payment". I feel like there should be an option available to only create the order when the payment is complete. @yvigeant There are currently no plans to change this behaviour and as mentioned earlier there is an easy way to filter out Awaiting Payment orders by clicking the tabs on the top of the order page. Another problem that occurs for the same reason, that Analytics won't show any conversions, if the customer simply closes PayPal without being redirected to the thank-you page. @PMayer There are no conversions measured because the order was not completed and thus the conversion did not happen. I'm trying to manage this through which automated emails go out and what they say. I would much prefer to not have an order confirmation sent until the payment is confirmed received, but the Order confirmation is the only one that we can receive a cc on in order to fulfill. So disabling that notification does not work for our workflow. @silverinthecity This can be setup but requires a few settings to be changed. However, this should be discussed in its own post, so if you create a new question I will go into details on how to set this up. It basically involves creating the invoice only when paid and disabling the order confirmation email. Also, not sure what you mean with "receive a cc". This scenario is handled out of the box through proper configuration by most e-com providers. When a PayPal payment is processed successfully then PayPal passes back that event to the calling party (i.e. - in this case the e-com framework provider). Then the calling party in turn can conditionally consider that order as being successfully completed. 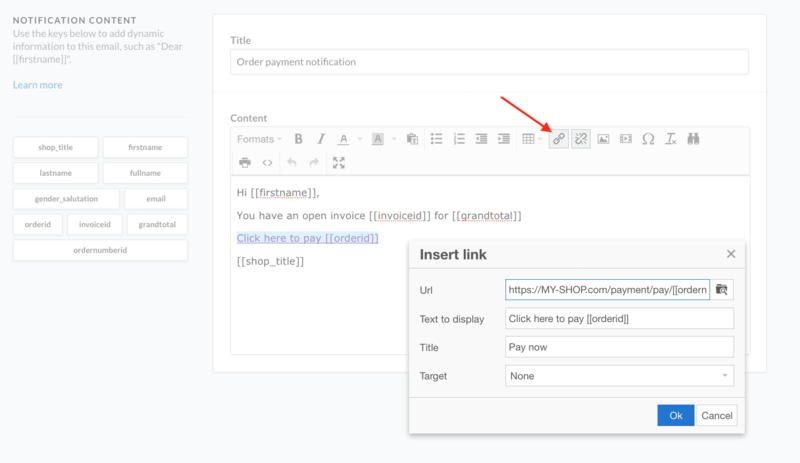 @gregarican and @yvigeant Lightspeed eCom sent the payment information with the IPN URL's in the background which in return lets eCom know if an order was paid or not. If a cart is abandoned and the customer checked out as a guest then they have no account to log back into creating a poorly thought out dead end! The message you get from clicking the link in the payment reminder states the session has expired or the browser does not accept cookies? does this mean the link that lightspeed provides for MY Account does contain the abandoned order. @Abbas The purpose of a guest checkout is that they do not need an account to log in. You can disable guest checkout in the Advanced Settings if needed (although not recommended). The customer can still request a password for their account if they wish to log in. The cookies message only shows if you click the "My Account" link in the email. Hope this answers most of your questions, as mentioned before, please create new posts if they are not directly related to the original post. @Joey so what happens if you send a password reminder to a guest? Can you think of a smart way to code the link into The words - Complete your purchase? Your payment for order INV00145 is pending. Greetings from Water Street Gallery. Thank you for your order. Our records show that we not yet received payment for your order INV00145. That works - Amazing ! We'll just endure the inventory being locked to incomplete orders until we cancel them, confusion of the staff seeing orders that are not paid yet and potential errors sending incomplete orders. @Abbas when a (guest) customer requests a new password and logs in for the first time it becomes a regular customer account. Wow, are you serious? That means the happiness of your customers doesn't interest you very much or you don't understand the problem at all. This is a heavy workflow burden especially for smaller companies. Who cares about filtering awaiting payment orders? This is okay for invoice or payment in advance. But if someone uses paypal or similar systems and changes his mind, we have an order we don't know whats up with. Therefore we have to waste time thinking about it, waste time with waiting if something is going to happen, waste time with contacting the customer, asking him if he wanted to buy or not. And the customer will think we are the most stupid shop in the whole internet, because we can't "see" his last second decision of "not buying". And all that because the order came through instead of being cancelled. This is a "design decision" you should reconsider. And again, you don't understand the problem. If the customer doesn't pay, we won't get the conversion, this is correct and everyone knows that. It seems I am not as stupid as you want to make me with your answer. The problem is: The customer wants to buy, goes to paypal and pays. That means he does a normal order. BUT (and that happened a few times already) if the person closes the window BEFORE being redirected to the thank you page of our shop, we won't see the conversion in Analytics, therefore our data is screwed. That problem could be solved the same way as the "dead order"-issue. @Joey How does a guest request a new password if they never created one to start with. What happens if we send the guest customer a password reset link from back office? @Abbas The customer can request a new password like any other visitor of the shop. It will also work from the backoffice within the customer's account.